117: What's Up with Apple Podcasts? Apple is kicking out a lot of podcasters from the Apple Podcasts directory. Why? We let you know how to avoid having your podcast removed. Watch this Round https://www.youtube.com/watch?v=PkeR1CkhAL0 You can subscribe to the episode mailing list to get new Rounds delivered to your inbox automatically. Sign up, if you'd like to appear on a future Round. Thanks and I can't wait to see you at the Roundtable! 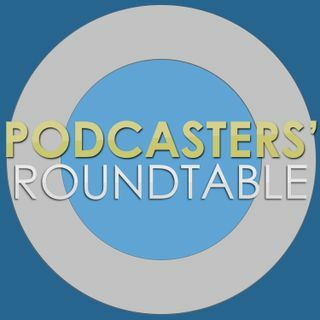 Subscribe to Podcasters' Roundtable on YouTube and use the bell icon ... Más informaciones to set notifications so that you know when we're live!